All of us are doing “Getting to Know Your Hosts” posts at the A to Z Blog, and today I’m up! Ten questions – at least nine ridiculous answers. Today I have the honor of hosting Ellie Garratt on the launch day for her book! I'm on Alex Cavanaugh’s blog, and my first eBook short story collection is published today. Can my day get any better? Like Alex, I love music. I have an eclectic taste, ranging from pop music to film scores. Every story I write usually has a song or soundtrack providing that added thump of inspiration, and some of my stories have even been inspired by music. Passing Time, the title story from my first dark fiction story collection is no different. You may think the subject of the song is morbid. But as the famous saying goes, there are no certainties in life but death and taxes, which got me to thinking - what if death wasn't the certainty you or I believed? What if death meant passing time neither you nor I knew about? And so my short story Passing Time came to be, and nearly two years later it provided the title story for my first eBook collection. If you're interested in listening to Bowie's cover of My Death, you can watch it on YouTube. Alternately, you can find the lyrics HERE. So, does music play a role in your writing? Do your stories have a soundtrack? Find Passing Time: Amazon US, Amazon UK, and Goodreads. Today Michael Di Gesu at In Time is revealing the cover for Nicki Elson’s upcoming book, Divine Temptation. This is an exclusive reveal, so check it out! One more week until Top Ten Movie Countdown blogfest on March 18! This movie is a prequel to Wizard of Oz and establishes the Wizard’s place in Oz. The film is visually stunning. Almost too much. Every scene is lush, which loses its zing after a bit. Plus I saw it in 3D, and there was a lot popping out of the screen. Parts of it felt flat and lacking in heart. Probably could’ve shaved fifteen minutes for a tighter film. However, when it does shine, it soars. The ending is spectacular. And the secondary characters are outstanding. The monkey Finley was quite amusing and the China Doll added a very emotional touch to the movie. This one just missed the mark for me, but I’m still glad I went to see it. Since this one was so highly reviewed, I took a leap of faith and purchased it on DVD. And glad I did! Wreck it Ralph is having a hard time dealing with the fact he’s the bad guy in his game and sets off to win a medal and prove he’s not. This movie is about as nostalgic as they come. Anyone who spent hours playing arcade games in the 80’s will feel right at home. The animation is fun and they really bring the sometimes pixelated characters to life. The story has a good heart and it’s fun for the whole family. Ever wondered what happens when they shut down the arcade? Then this is the adventure for you! Ever been inspired by a song? Ready for the Top Ten Movie Countdown? Have you seen Oz or Wreck it Ralph? Don’t forget to check out the A to Z Blog and know your Ninja better! Not sure any film could ever replace the original Wizard of Oz! I should be seeing Wreck it Ralph. I think your thoughts on Oz is exactly how I pictured it would be! Sometimes there can be too much going on in a movie. I'll prob still watch it to see what it's about though. Congratulations Ellie! Nice cover. It reminds me of Clockwork Orange a bit. Intrigued by Ellie's collection (I put it on my TBR list before making this comment). Congratulations on the release, Ellie! The song False Alarm by Cherry Ghost inspired a novella that *should* be being published by the end of the year. Songs are amazing for inspiration! Alex - thank you again for hosting me on the opening day of my Passing Time Blog Tour. You rock! Of course the coincidence of David Bowie releasing his new album on the launch date of Passing Time has not escaped me. When I wrote the blog post I had no idea. How's that for timing? Sean - thank you! A few people have mentioned the Clockwork Orange resemblance. Annalisa - I'm thrilled you've added PT to your TBR list, and that music also inspires you. You didn't like Oz? Oh, no. I'm planning to see it. We're planning on seeing Oz...but I've kept my expectations in check! i heard good things about Oz. glad to hear more for a family movie! Congrats to Ellie! Glad you liked Oz. My daughter and I really want to see it. Wife and mother saw the Oz film and liked it, they thought Franco should have been played by someone else. I love the score by Danny Elfman. I am constantly inspired by songs. I have such bad motion sickness, I can't see any movies in 3D. I haven't seen Wreck-It Ralph yet, but it's on my list. I'm a drummer and am always inspired by songs. Especially root music. Jazz, Blues, Irish and Scottish trad, African trad, Appalachian, it goes on and on. Oh and I won over at the Whisks place. I chose your book. I sometimes think of certain songs for various scenes in my books. 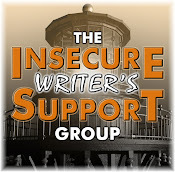 This can help with the writing and even writer's block at times. Elle shines in my constellation of blogger stars. Can't wait to see what she does next. I had no interest in Wreck it Ralph but now, oh boy. Renting the DVD soon. I loved Wreck it Ralph. I'm not too thrilled with the idea of Oz so I'll probably skip that altogether. And I've been inspired by songs many times. It's creepy how powerful music can be. Hubby and I saw Warm Bodies this weekend rather than Oz. I was thinking to wait for the $ flicks to see it. I wonder if I should reconsider. I'm not hugely into cartoons but I will make an exception for the cute Ralph movie. Ellie is utterly brilliant!!! Yay for her!! And I cannot wait to see Oz and Ralph!!! Am currently obsessing with Adele's live performance of Someone Like You at the 2011 Brits Awards. Beautiful and very helpful for one of my characters going through a break up! Oh dear! Congrats to Ellie! I saw Wreck It Ralph this weekend too. It was so much fun. We had to pause it to read the graffiti on the walls of the station! great cover, Ellie! Haven't seen either movie yet but I'd like to see Oz. I write about the future, so I've had fun playing with the idea of introducing "old" songs in my novel. Songs from now or the sixties. I also listen to certain music when getting in the mood for certain scenes I need to write. But when I actually write I need complete silence. And Oz does look visually stunning. Probably wait for DVD to see it though. AJ, don't hate me, but never cared for that film. Lan, there was a lot going on. Ellie, it was meant to be!! Brinda, it was all right. Not something I would buy on DVD though. Elizabeth, keep them low and you'll be fine. Jeremy, I think Robert Downey Jr. would've nailed the part. Donna, my answer could go either way. Christine, I'll have to go back and read it. Melissa, glad it's working for you! I appreciate your mixed, and slightly disappointed review, or Oz. I haven't read a fully positive one yet. Think I'll wait for the video and NOT watch it. Ah, music. Yes, I use it and need it for inspiration. Oz, tomorrow night. Wreck it Ralph - maybe. I would like to see the Oz film, but I guess this will be another one I have to wait for. Great to see Ellie's book-- glad it's highlighted! I will wait to watch Oz on DVD. I hate that popping out on screen in 3-D. It's so annoying!! My twelve year old would love Wrecking Ralph. I'll have to pick that up. I'm seeing OZ next Friday evening. Thanks for the review!! I saw Snitch this past Saturday...surprisingly good. "thump of inspiration" - love that Ellie, and how cool to have your stories together in a collection! Thanks for the mention, Alex, :) and for the movie reviews. Too bad about Oz - my 4-year-old niece gave it thumbs up, but her dad was shaking his head no in the background as she delivered her glowing review. LOVED Wreck it Ralph! The DVD will most definitely be finding its way into an Easter basket near me. Congrats, Ellie! Will check out your post at A to Z, Alex. I'm a music lover, through and through. I listen to it almost every moment of every day, and yes, every book has its soundtrack, which is usually quirky Indie rock with a lot of heart. Also, I heard the same about Oz from more than one person, that it fell flat. The trailer itself is full of so many flat jokes that it's single-handedly the reason why I didn't go see it yet. Otherwise, I had wanted to. I enjoyed Ralph, but I wish they had spent more time in other games apart from Sugar Rush. Still more fun then Oscar winner Brave, I think. Can't wait to watch Oz, and I loved Wreck it Ralph! Yay for Ellie! And it's so cool to see how many writers out there are inspired by music too. P.S. 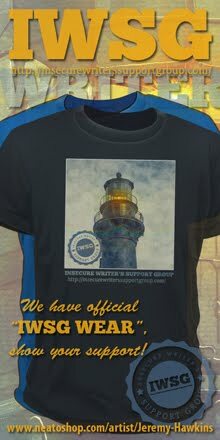 Alex - I did receive your t-shirt, thank you!!! Haven't gotten a chance to snap a photo yet, but I spread your bookmarks and postcards all over the local library (and kept a few for myself of course!). I read other so-so reviews for Oz but my kids are going to see it later this week. Funny how my high school students talk about Wreck It, Ralph. franco is a kid, robert dj... would be perfect. he needs to play roles of a certain arrogance... like stark and holmes... oz would have been a strong one too. JA, if you have kids, just buy it. Heck, even if you don't. Elizabeth, it had a lot of '3D popping out at you' effects. Julie, thank you for doing that!!! Still lamenting my top ten list- so hard to choose! Didn't get to see Oz yet, but my girls really want me to take them. Hopping over to find out more about the A-Z hosts now. I can't turn off the "lyrics" when I listen to music and write, so I usually write to near silence (my house is never strictly silent), and sometimes to soundtracks (with no lyrics). Not Quite ready for the countdown, and I loved Wreck It Ralph. Thanks for the review on Oz . . .now I have to decide - matinee or DVD? I did like Wreck it Ralph. I didn't think I would but I did. Can't wait until your blogfest on the 18th. Everyone's talking about that movie! Going to have to watch it soon. Congratulations to Ellie! Music always inspires my writing. Music inspires me. And I thought Wreck it Ralph was cute. Thanks everyone. Alex's ninja army are the best! Love the cover art to Passing Time. I inspired by music most of the time! Both these movies I want to watch. AGGGGHHH. Haven't seen Oz yet, but will. Need to get cracking on the Top Ten Movie post. Oy! Heading to A-z blog now - curious about you, Alex. I haven't seen Oz OR Wreck it Ralph yet. Is Oz good for the kids? My post is ready for the top ten movie countdown. I'm excited! Jeremy, he would've been a great Oz. Oh well. Tyrean, we're always jamming here at our house. David, it should've won the Oscar. Thanks for the Oz review. I'll scratch 3-D off my list. Almost ready with my Top Ten. My daughter bought Wreck it Ralph for her brother's b-day this weekemd. They love it! Me, not so much. Very interesting Ellie Garratt's words about music and death. I want to see both movies. Ellie's book sounds like a great collection! I'm off to visit all those links! I saw Oz the Great and Powerful this weekend, but because I still have/had the kidney stent (it comes out this afternoon) I had to go to the bathroom FIVE times. So I missed most of the film I think. I have no idea how Theodora became green (I was in the bathroom), or how she went from being good to being evil, and I'm not sure I understand the significance of the music boxes. Oh well. There were some nice effects. It seemed like a good flick. Ellie- Rocks and that cover is awesome! Added my comments to the A to Z blog. I'm going to miss not joining in this year. Other commitments. . . I'm ready for your 10 movie blogfest and the Wormhole blogfest that happens this Wednesday. Wreck-it Ralph brought back sooooo many memories for me! :D I especially loved Game Central Station. Congrats to Ellie! Sorry Oz wasn't all you had hoped, but Wreck-it Ralph sounds cute. I'll head over to A to Z later. My contemporary historical Bildungsroman was inspired by the famous Four Seasons' song "Rag Doll." My majority soundtrack while writing it consisted of The Hollies and The Four Seasons. As a result, I've always pictured the protagonist's eventual husband as looking a bit like a young Graham Nash, circa 1963-64. I'm so glad you enjoyed Ralph that much. It was nostalgic, good-hearted and beautifully animated movie. Still have to see Oz. Looking forward ot it. I'm a quart low on movies. Have to do some catching up. Maybe this summer. Loved seeing the spotlight on the books. I heard a similar review from a friend about Oz. Did you ever read Ozma of Oz? I would love to see that made into a movie. I'd still like to go see Oz sometime, and I'm glad to hear Wreck It Ralph was good. And Ellie, music and writing are intertwined. The words become the music from our minds and dance from the keyboard to be received by the hearts and minds of the readers. And Bowie's new album is now out. Songs inspire whatever semblance of writing I come up with. Lynn, yes! hard rock for the action. Liesel, glad you're on board. Michael, Theodora became evil when she bit the apple that made her heart grow cold. Sorry you missed so much of the movie. George, it was a great trip down memory lane! Gary, something witty I'm sure! We've decided to give Oz a pass because of its lack of integrity. It's unfortunate. I haven't seen either of those movies yet, but I do love getting inspiration from songs. Great to meet Ellie. And thanks for the thumbs up for the Wizard of Oz - I can stand a bit of overstated, so I'm looking forward to seeing it. I didn't hear the best things about Oz. I'm thinking I'll wait for it to come to DVD if I watch it at all. I'm hoping to watch Rocket with my boys next weekend. They've wanted to see it for awhile. Congrats to Ellie and Nicki. I'm not hearing good things about Oz either. Actually, it reminds me of the brouhaha around the sequel to Gone with the Wind that fell flat. But I think I'll end up watching Oz just 'cause--well, it's Oz. Was just over at the A to Z blog. Great Q & A! I didn't get a chance to see Oz, although I'd like to. I did happen to see Wreck it Ralph and loved it. A very cute storyline. Worth the time. I've been sorta meaning to watch 'Wreck it Ralph' since I read a review on the Squid's blog. Glad you liked Oz and Wreck it Ralf. Have a great week Alex. @ Alex J. Cavanaugh - I enjoyed your short bio on this post. Your website is also visually appealing. Thanks for stopping by my blog and sharing your thoughts on Twitter-etiquette. I'm so new to Twitter and have been hearing mixed things, so it's great to get folks' opinions! Andrew, I think I'd be correct this time in predicting you wouldn't like it. Clarissa, just don't go in expecting the greatest, but it did have some really good moments. Congrats, Ellie! Adore your cover. Alex, my hubby wants to see Oz. Looks like a great film for the big screen, but I had a feeling it might feel like a bit too much. We may try to squeeze it in if we can. Thanks for the blogfest reminder. Heaven knows I need them these days. I find music very inspirational and could never limit myself to ONE song. That would be as hard as the Movie Challenge (if not more so). And, no, my list is still nowhere close to being finalized for the Countdown. Egads. And I haven't seen either of the two movies you reviewed. I feel like this comment has been a Fail. Congratulations Ellie, it looks great! Wreck it Ralph looks cute I'm sure my son would love it! I'm inspired by songs a lot. I'm hearing nothing but positive things about Oz the Great and Powerful, so I'm thinking I MUST see it in its theatrical run. And I loved the 1939 classic, so hopefully I'll see this entertaining prequel in theatres. But I got other films I want to see in cinemas before Oz, The Call, Admission, Olympus Has Fallen. Can't wait until next week's blogfest! It will be so much fun! I want to see OZ the Great and Powerful, I can't wait to see it. I heard 'Colder Weather' by Zac Brown band and wanted to write a story about a trucker who missed out on love. Never did it though. Ellie, your cover is stunning and your book description is evocative. Didn't see Tony Stark flying in the midst of the flying monkeys? Congrats to Ellie! Wooooo!! I have to wait until next week to get her. I'll have to put Wreck-it Ralph on the list then. Hope to see Oz soon. Don't get to the movies all that often. Yay for Ellie, she's visitng me on Wednesday! Off to check out Nicki's cover now. My heart was crushed when Wreck-It-Ralph didn't win an Oscar. Perhaps it's the gamer in me, but I just felt it was a better film than Brave (though I enjoyed Brave as well). I'm glad to hear that about Oz. Ever since Avatar (which I did not particularly care for) and all of its CG landscapes I've wary of films that do similar things. I felt that Tim Burton's Alice in Wonderland suffered from their dependence on the CG world and feared the worst for Oz when the previews looked so visually similar. Not sold on the Oz movie, yet. I am often inspired by music, though! Passing Time sounds cool! Good luck Ellie Garratt! Working on my Top Ten. It's sooooo hard! The seven year old wants to see Wreck It Ralph. Guess I will have to go to the library. Funny interview on A to Z! I am always inspired by music. Isis, I won't let you forget! Robin, your comments are never fails. Livia, it's probably lighter film than the original. Roland, it could've used Tony Stark. Mark, you can purchase the retro version! Gabriel, Oz at least had some substance (something Alice lacked) but it was still very CGI and effects heavy. Looking forward to watching Wreck it Ralph. Congrats Ellie, I too love music,Thanks for hosting Ellie Alex, great post. I really enjoyed "Oz" and I didn't think I was going to. I'm not a huge fan of the original "Wizard of Oz", but this one really hit a chord with me. Now, granted, I won't say it was a 'stupendous' film, but I was fine spending my money to see it. I felt the same way about 'Wreck it Ralph' and agree about the nostalgia factor. Congrats, Ellie! I like haunting slightly scary songs as well. Haunting ones usually hold my interest more than snappy, happy ones. I want to see Oz, but I guess I'll see Wreck it when it's on TV. Congratulations to Ellie -- his book sounds wonderful. Music is a great influence on me in just about everything I do. I didn't love Oz, but I definitely enjoyed Ralph. Great movie, that one. We went to see Oz this past weekend, too. My daughter pointed out that they had to "alter" certain aspects of the film, so not to infringe on the rights to original. No ruby red slippers, the green of the witch is slightly off. Yeah, 'Wreck-It Ralph' was good, don't plan to see 'Oz.' Sounds like I'm not missing much. CONGRATS ELLIE! ALL the best for your new book! ALEX thanks for the shout out for Nicki. It was a very successful day. Nicki's cover is wowing everyone. I am so wanting to see OZ... I hope I get the chance before I leave for Florida. BUT, I can always see it there. LOL. Mark, I'm not a fan of the original either. Miranda, I guess she got greener with age. You know, mold and all that. Very excited for Ellie releasing her short stories. Sounds like such a dark and wonderful read. Right up my alley! And Wreck it Ralph was wonderful when Chipmunk and I went to see it. I'll have to buy it this week so she can watch it on repeat lol!!! I'm always inspired by songs. I listen to must during a lot of every single day. I'm not a fan of movies where the animation is the main point. The emphasis should be on the story not how pretty they can make it. I did think this looked pretty spectacular though. I'll be seeing the Oz movie in 3d rather soon. Excited, but only visually. Passing Time sounds like a very cool book! My kids went to see Oz with my husband (I've been sick.). They loved it. We saw Wreck It Ralph this weekend. I wasn't interested in it when it first came out. I can't believe I didn't want to see it. I thought is was great. Thanks for the update on OZ. I tried to rent Wreck-It Ralph this weekend but for some reason Redbox online reservations were acting cookoo so I said forget it. Maybe this weekend I'll get lucky. I'm glad to hear that it's a really good movie. I was a teenager in the 80's and played tons of arcades games back in the day! Centipede and Galaga were two of my all-time favorites. Thankful for your movie reviews today. I too, took the leap and bought Wreck it Ralph. Loved it. I haven't heard great things about OZ, so it's good to get your opinion. Sad it's not as good as we all hoped it would be, but I'll probably go see it anyway. I love mixing music to inspire writing! Bowie would have some killer thoughts rambling for me...reminds me of the movie Labrynth. I'm hosting a wreck it ralph night for the kiddos and their friends and everyone has given it great reviews so far! Looking forward to the blogfest!! So far the comments I've heard from people who've seen Oz range from "loved it" to "very disappointed". I may wait for this one to hit cable. I loved Michael's intro for Nicki's cover. Happy to see Ellie here. That makes it two of my favourite bloggers together. Saw the OZ trailer on Sunday. It looked super. Eager to see the movie now. It was interesting to read about the background to Ellie's title and book. I'm inspired by music in general, but I haven't had any story inspired by a particular song. I never played games in the eighties, but I'm still looking forward to Ralph. I'll be taking the kids to see Wreck it Ralph at the weekend, should be good! Angela, you need to get it! Stina, those two were the best part. Melissa, you will enjoy it! LD, he does great intros. Ray, the kid in you will emerge. Even more. I am inspired by music all the time! I love where it takes me. We also bought and watched Wreck It Ralph this weekend, and we loved it! So glad we took the plunge and bought it. We loved Wreck It Ralph and willnbuy it this weekend. Will also see Oznin 3 D of course. And all set for Top Ten Movie Fest! Even though the reviews for OZ haven't been stellar, I'm still planning on seeing it. I like the idea of stories with a soundtrack even though I rarely use music in my stories or listen to it as I write. Too bad about OZ. Unfortunately I have suspecting it would lack something. Did you see Jack the Giant Slayer? It looks pretty good. And I haven't seen Wreck it Ralph yet, but I intend to! Yes, I have been inspired in many songs. In fact in my photo shoots music is always present. Maybe I'll take that leap of faith too and buy Wreck It Ralph. I played Ladybug for hours along with Qbert and of course, PacMan. Those were the days! My thoughts exactly with Oz. Saw it in 3D friday and while it was worth seeing, I didn't love it. The story was weak, but the actresses rocked! Have a great week, Alex! I hope your writing is coming along well. That movie about Ralph sounds hilarious. Thanks Alex and Ellie. I love all these sci fi dimensions, so many awesome places to pop into. Its like visiting Alladins Ninja cave, I want to leave with all the treasure, XD. Thanks for the review of OZ, Alex. I saw an interview on tv with the director and he said there were several books in the series, so they decided to make one into a film. Had no idea there were other books. But apparently at the beginning of 1900, the writer was touring and stopped in Toronto. Love the history. I wonder if the author ever suspect this kind of success? I wasn't so keen to watch Wreck -It Ralph, but when I did I loved it! I thought a lot of it was really clever. I've been looking forward to watching Oz, so it was good to hear your thoughts on that one. Music doesn't play an active role in my writing. I write in silence, for the most part. Briefly saw your a - z post over the weekend, Alex. Need to get back and comment on it (hopefully in the near future). Sarah, it's one of those rare films you can take a chance on and not regret it. SK, at least you'll be prepared when you see it. Emilyann, yes, and it was a little better. Elsie, it will bring back memories. Joylene, there are fourteen official books and countless ones others have written. 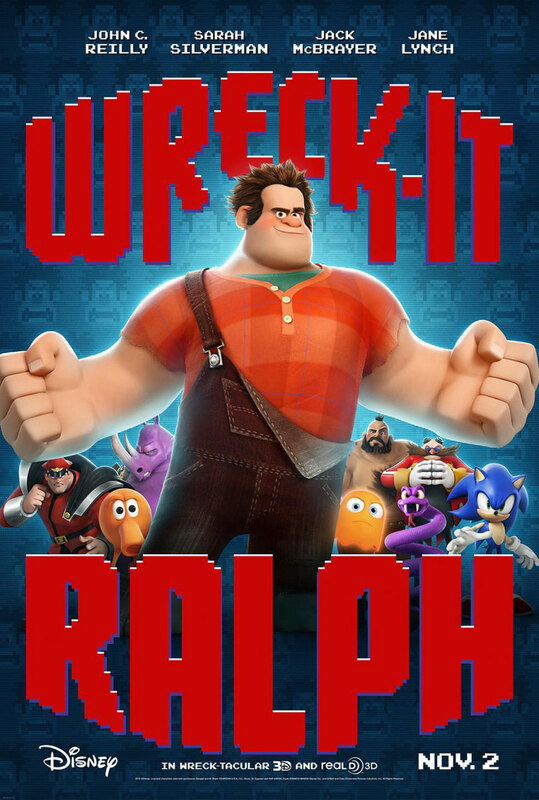 I loved Wreck-It Ralph. Good think you reminded me about your blogfest, I almost forgot. I like all kinds of music, and find a strong message in "What Doesn't Kill You Makes You Stronger" -- but while I'm writing I need absolute silence. (Like as if that every happens...snort). I really want to see Oz the Great and Powerful. Ellie's blog tour is going splendidly. It's great seeing her everywhere. PTM, I won't let you forget! Jamie, watch Wreck it Ralph again. I enjoyed Wreck It Ralph. Haven't see Oz yet, but I have a feeling I'll on the fence about it like you are. I must remember the movie countdown! I keep forgetting. Too busy lately. I want to see the new Oz movie. I was never a big fan of the first one, but this one interests me. That and Jack the Giant Slayer are the two new ones on my list. Loved Wreck it Ralph. A fun, wonderful story. I had heard Lewis Carrol used drugs but after reading the book I can better believe it. Too many songs inspire me to list them all. I'm always inspired by music and I will definitely be checking out the Bowie cover. Aerosmith always inspires me as does Susan Tedeschi. Wreck It Ralph rocks! It brought out my old Asteroid, Pac Man playing kid. I want to write a short story compilation based on Genesis's Home By The Sea, but I haven't gotten around to it yet. That's going to take some outlining, I believe. Crap, I need to sit down and think up my favorite 10 movies! This movie has been kind of a toss-up for me as far as whether or not I'd be interested in it--it seems kind of just another group capitalizing on Gregory McGuire's "shtuff." That said, the fact that the monkey has a name makes me more inclined to see it. I'm not sure what that says about me, exactly, but there you go! I haven't seen the new Oz, but I have seen Wicked on Broadway (also a prequel) and I LOVED that. Oz and Wreck it Ralph are both decent movies, but Oz isn't great.